A brilliant criminal known only as the Mastermind orchestrates a series of bank robberies that are notable for their very precise demands - and their explosive violence when the demands are not met exactly. Detective Alex Cross takes on the case and recognizes that a particular kind of criminal mind is at work. But before he gets near identifying a suspect, the Mastermind pulls off the most outrageous kidnapping scheme in U.S. history - and walks away with the largest ransom ever paid.But money is not enough. 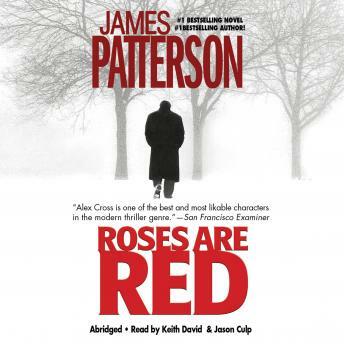 Alex Cross' investigation has gotten under the Mastermind's skin, and he makes it his personal goal to take revenge on Cross' entire team, one person at a time - before coming after Cross himself.Amid all this, Cross' relationship with his girlfriend Christine is falling apart because of her fears about his work, and his beloved daughter Jannie is hospitalized with unexplained seizures. The pressure rises on every front, until an explosive, shocking climax in which the Mastermind escalates his crimes to an unprecedented level, and Alex Cross risks everything to stop him in time. It was a good suspenseful book. I didn't get bored in the beginning. The ending was a surprise too, I liked that! Couldn’t put this book down! Page after page heart racing, sweat pouring! Duh a great book!